A recently confirmed study makes paleontologists believe that the Mosasaurs gave birth to their little ones not on the coast or anywhere close to the coast. In fact these giant sea reptiles give birth in open oceans. Mosasaurs when translated means river lizard. It is believed that these huge marine creatures have probably arrived from semiaquatic squamates also known by the name aigialosaurus. Researchers point out that aigialosaurus look like contemporary monitor lizards. These sea creatures existed during the time dinosaurs lived in this planet. It is believed that the former dwelled in the waters. However, these large sea creatures became extinct around 65 million years back. Their physical appearance makes us believe that these aquatic creatures were fast and streamlined at the same time. They were armed with paddles that were like flippers. These also doubled up as their arms and legs. Their body was covered with scales and it is believed that the scales were of a dark hue. These huge serpentine reptiles that are very similar to snakes, were excellent swimmers had not so peculiar eating habits. Scientist point out that they dwelled in the shallow seas and they lived on a variety of fish, turtles, seafish and mollusks. It can be concluded that the Mosasaurs targeted the soft meat inside the hard-shelled sea creatures for food. What caught our attention is how these humongous sea creatures actually give birth. A new study samplings at the Yale Peabody Museum of Natural History, wants to make paleontologists believe that these killer sea creatures did not lay their eggs on the coastline. In fact they gave birth to their babies in the open ocean. Study also points out that the newborn mosasaurs also preferred the oceanic environment. 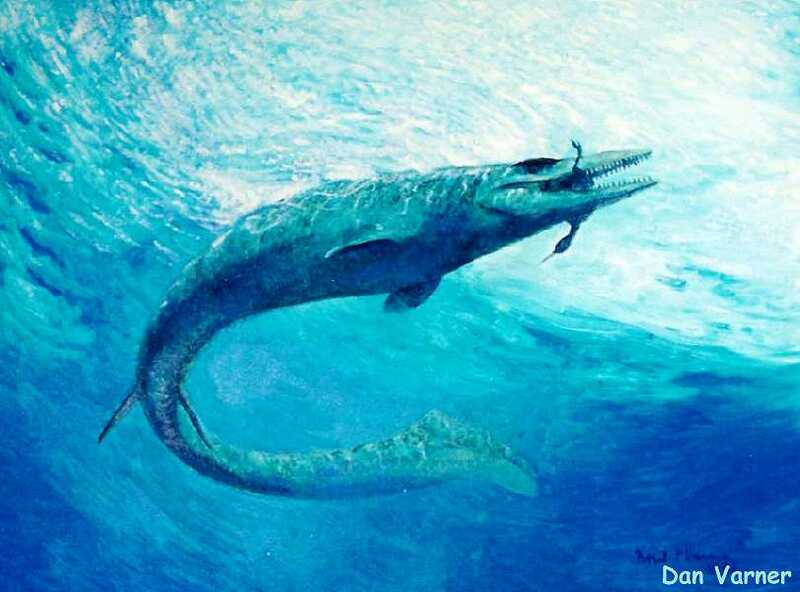 It is believed that Mosasaurs could possibly grow up to 50 feet long creatures. As paleontologists are researching we will have to wait and watch what findings they come up with. Daniel Field, one of the researchers involved in the study points out that it is very interesting to study these sea creatures.